The Youth is considered the future of any nation. As Alvin Toffler beautifully portrayed that “The secret message communicated to most young people today by the society around them is that they are not needed, that the society will run itself quite nicely until they ,at some distant point in the future , will take over the reins. Yet the fact is that the society is not running itself nicely, because the rest of us need all the energy, brains, imagination and talent that young people can bring to bear down on our difficulties. For society to attempt to solve its desperate problems without the full participation of even very young people is imbecile”. 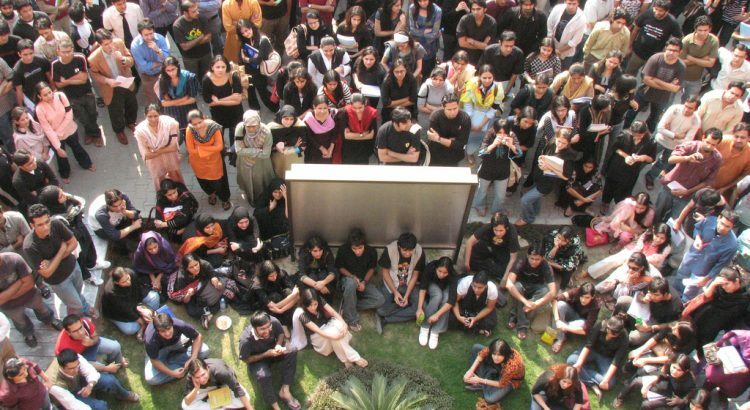 Pakistan with a rapidly increasing population, right now is home to over seven crore young adults. With such a great pool of individuals looking for jobs and various opportunities, most are destined to face many challenges. Fortunately for Pakistan it possesses a pool of very talented and intelligent young men and women with a lot of potential. An education system that promotes and encourages hard work, they have been trained to survive in vigorous work conditions. The main question that comes up is how to channel this abundant potential into something which can lead to the development of the nation and its citizens. The government has taken many steps to ensure that the strengths of the youth are not wasted and are utilized. Many NGO’s, foreign organizations and local organizations have provided effective resources to this pool. There are many development programs for the youth that are working in the country at a national, international and community platform to sharpen and harness these skills in various fields. The federal government has established a National Youth Policy whose main objective is to reinforce a sense of awareness, pride and motivation among the youth of today. The government has emphasized on developing a desire among the individuals to compete with the world and learn from the downfall and successes of others. The government is also focusing on catering the skills of different individuals according to their capabilities and their regions or areas. The government has provided job opportunities, micro financing, internships and also help promotes recreational activities and sports. Another program has been launched by the government known as the Social Volunteerism Youth program. This project encourages the youth to take part voluntarily in social services. For the students the government has established many scholarship programs that encourage the youth’s intellectual and academic capabilities. It provides them with an opportunity to carry out higher secondary, under graduate and graduate level studies out of Pakistan and also within Pakistan. Although, there is still a lot of capacity available and a dire need to enhance the current programs of skill development and vocational training in Pakistan. This is because the country has immense talented individuals and tremendous potential to provide employment to the country’s youth in both the rural and urban areas. Everyone should take personal and small stake initiatives and not solely rely on the government.